As many of you know, I’ve gone paleo… with some exceptions. Well, I eat paleo most of the time. I feel better, I’m stronger, and I released a lot of weight. Being paleo, though, means I don’t eat most grains. That means no oats. Up until recently, I thought that meant I’d never eat granola again. Then, one day, while shopping at Whole Foods, I came across paleo granola. I decided to try it. Of course, I loved it, and it was expensive. But, once I knew such a thing existed, I determined to make my own… one day. Fast forward a few months later (because life gets away from me). I finally decide to try my hand at it. A quick search pulls up a plethora of recipes for it. The one I settled on was from The Roasted Root. However, I decided to change it because, well, I’m not a fan of cashews, I didn’t have any shredded coconut or dried cranberries, and because I can. LOL Which means feel free to change the nuts to your tastes as well as the dried fruit. One more thing that’s very important, Julia over at The Roasted Root emphasizes the importance of the egg white as a binder. If you are allergic to eggs, you will need to use something else in its place. Preheat the oven to 300 degrees F and line a baking sheet with parchment paper. 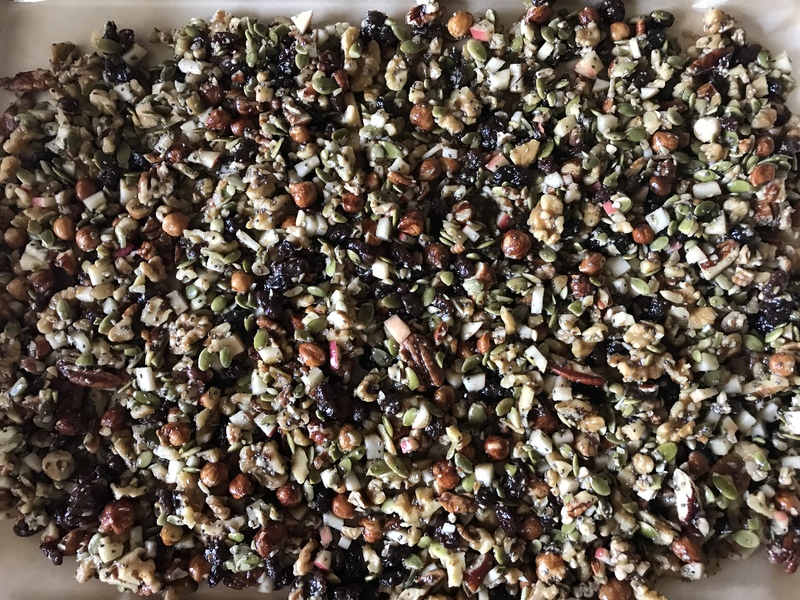 In a blender, coarsely chop the nuts and seeds. You only want to pulse this a couple of times or you’ll end up with nut meal. Add the oil, honey, vanilla, cinnamon, and salt to your egg white mixture and whisk together well. Now, add your nuts and raisins and mix well to ensure everything has a coating of the egg white/honey/cinnamon/oil/vanilla mixture. 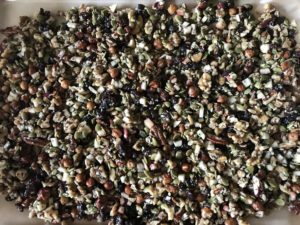 Spread your granola onto the parchment-lined baking sheet. The Roasted Root recipe says to bake for 20-30 minutes, but I baked mine longer. I don’t remember exactly how long, maybe an extra 10 minutes. I’d say after that original 20-30 minutes, if it’s not baked to a golden brown, let it bake a bit longer, but just keep an eye on it. Take the pan out of the oven and let it sit for 10 minutes without stirring. 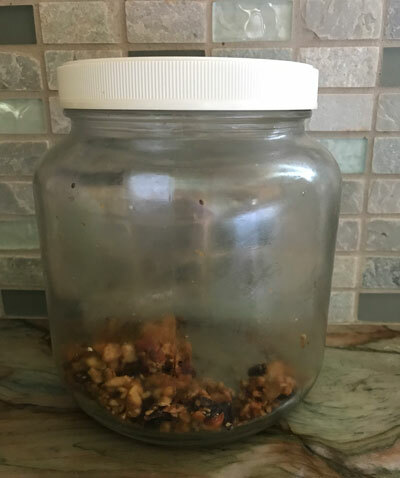 Julia over at The Roasted Root says that this is to allow the granola to clump. You want these clumps. They are delicious. I’m going to make some more today as I’m getting low, but this time I’ll be adding diced apples (and more cinnamon.) I’ll let you know how it turns out.